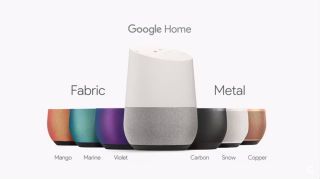 Google Home advertises Beauty and the Beast, quickly stops | What Hi-Fi? The Google Home speaker added an ad for the movie at the end of its My Day rundown, sparking a generally negative reaction. Google Home - the company's competitor to the Amazon Echo - started spouting adverts for Disney's new live-action film Beauty and the Beast yesterday. Twitter user @brysonmeunier posted a video of his speaker running through the account holder's calendar, day-to-day activities and commute to work, before annnouncing: "by the way, Disney's live-action Beauty and the Beast opens today. In this version of the story, Belle is the inventor, instead of Maurice. That rings truer if you ask me. For some more movie fun, ask me to tell you something about Belle". The company has since stopped serving the Beauty and the Beast content to users. However, rather than say that the advert was indeed an advert, spokespersons for Google responded by saying "what’s circulating online was a part of our My Day feature where, after providing helpful information about your day, we sometimes call out timely content. We’re continuing to experiment with new ways to surface unique content for users and we could have done better in this case". In a comment to The Verge, the company said "this isn't an ad; the beauty in the Assistant is that it invites our partners to be our guest and share their tales". The idea of putting adverts inside personal assistants is one that has been circulating for a while. Google currently monitises its search engine through adverts that appear visually on the screen - and since the Google Home does not have a screen, audio ads seem to be the next step. But if the response to this "experiment" is any indication, users aren't too welcoming of corporate sponsers intruding into their homes.